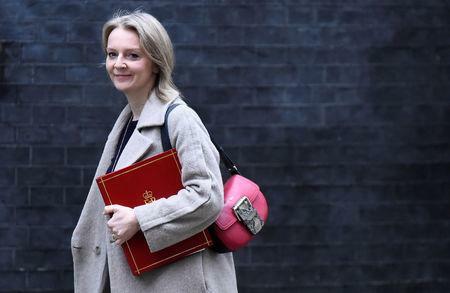 LONDON (Reuters) - British Prime Minister Theresa May can reach a deal with the European Union to alter parts of the Brexit agreement relating to the Northern Irish border, Treasury minister Liz Truss told Sky News on Sunday. "I believe Theresa May can get that deal," Truss said. She also rejected the idea of a UK-EU customs union - something the main opposition Labour Party supports and that the EU has said it is interested in pursuing, but May staunchly opposes.